Ace Garp (Ace Trucking Co) Sketch. Ace Garp from Ace Trucking Co as seen in the comic, 2000AD. This piece was featured in the 2000AD forum advent calender 2012. Size: A5 approx. Various marker pens on paper. Signed. 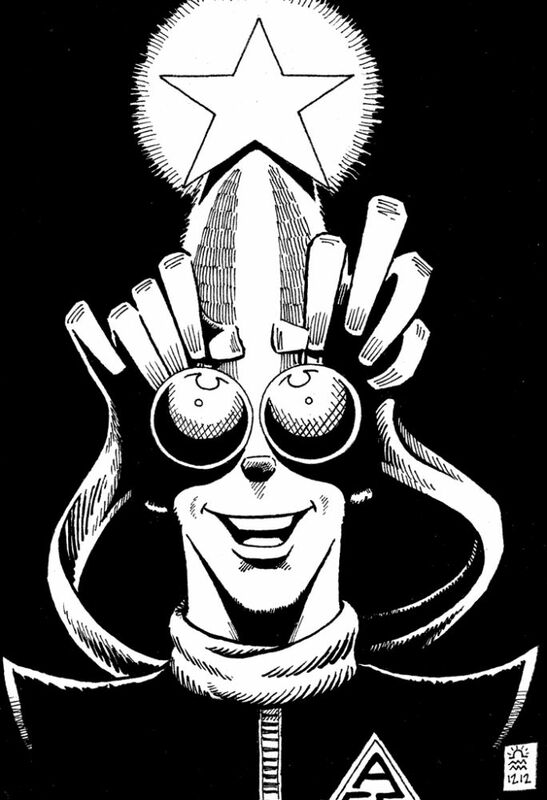 Ace Garp from Ace Trucking Co as seen in the comic, 2000AD. This piece was featured in the 2000AD forum advent calender 2012.